I am excited to share a layout using a new stack from DCWV. Ok yes, there are tons of good stacks but this one is pretty cool! It's the size of normal 12x12" paper stacks but it's called a DIY Project Stack "Mini Albums". 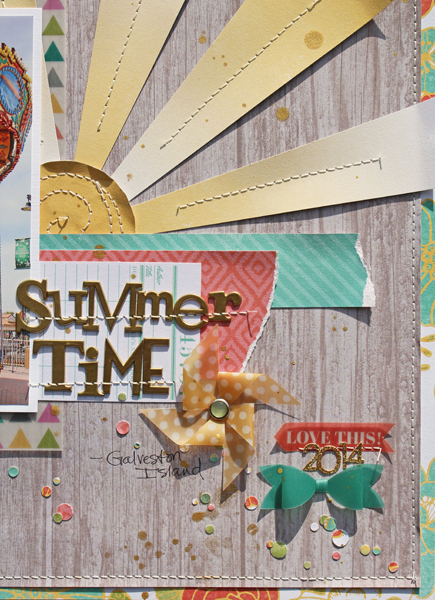 It's got coordinating double sided patterned papers in 12x12", some papers are divided into six 4x6 patterned papers, there are 12x12 vellum patterned papers as well as the vellum to cut into six 4x6" pieces, patterned paper and vellum sheets with shapes, labels, tags, and 3 dimension elements to cut out... there are envelopes you can cut out, pockets, a sticker sheet.... AND there are instruction sheets in back if you want to do 2 mini albums! Seriously, it's such a cool stack and I am not even doing a mini album. Check out my layout using only this stack and adding some alpha stickers and mist and one brad. It's like all the embellishments are included. I have been wanting a stack like this for a long time. seriously watch for it at JoAnns. LOL! Look at the triangle print vellum! See the sunshine? thats a full 12x12 paper that is yellow to white ombre. There are several colors like that. 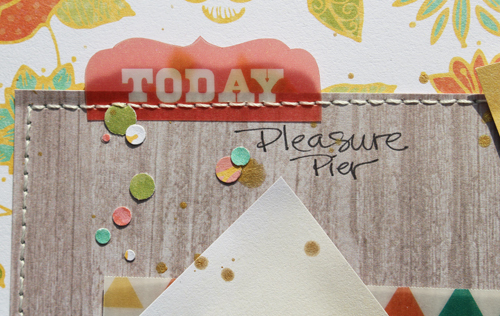 The journaling block under the title is a cut out. Now for the very best part... the vellum pinwheel and bow are cut outs that I just used diamond glaze to assemble! Can you stand the cuteness? 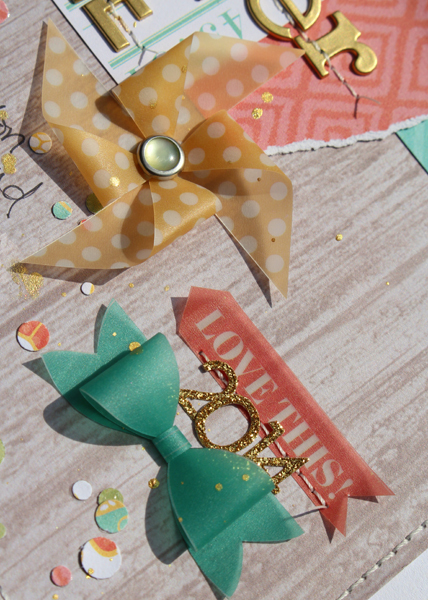 You will see more of these bows on my pages for no reason at all other than I just have to use them. 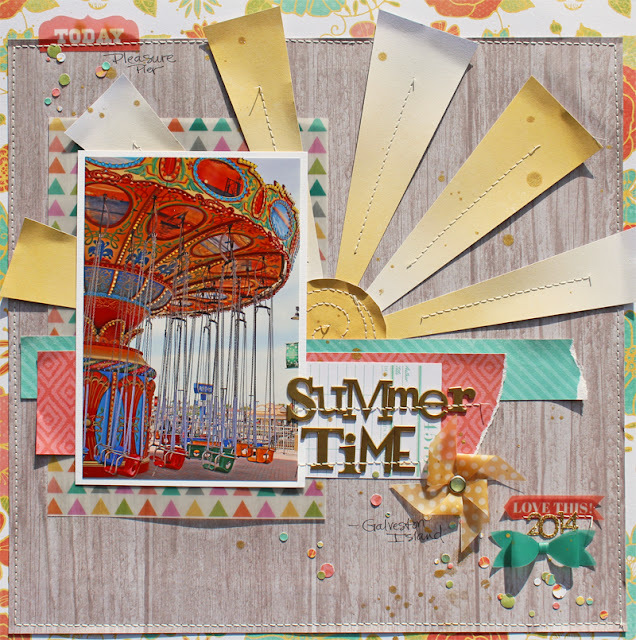 OOH, I am loving the colors and the summer fun!! I just love what you did with this project stack!